Ryan Raddon - a.k.a. Kaskade - is an electronic dance music producer and DJ. Kaskade claims he finds himself in a new studio space for each album he produces, but his gear collection remains largely the same. He creates his tracks using the Pro Tools DAW, which he says he has been comfortable with for many years. His signature sound comes from the use of software synths such as the Nexus and Omnisphere. Kaskade has an impressive collection of hardware EQs and compressors which he runs his entire mix through. Since so many of his tracks feature vocals, his vocal processing plugin chain is of particular interest. Check out all of Kaskade's studio equipment, software plugins, and live setup below. 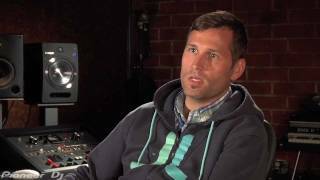 What kind of Studio Equipment does Kaskade use? Click here to let us know! "The Crane Song HEDD 192 was a new purchase for [Fire & Ice], and I'm really happy with the converters on that... I've got a few pieces of their outboard gear, most studios I've visited have their stuff, and I've definitely noticed a difference when I A/B against the last record." To record his female vocals, Kaskade uses a Blue Dragonfly microphone, into a Manley VOXBOX. Kaskade routes vocals from the mic into the Manley VOXBOX. He says "I think the Manley is cool because it can sound like not a lot is there, but you can easily add just a little bit of color. This combination is light, airy, has some character but isn't overbearing, and I always feel like the most important thing is to get a nice, clean sound that I can mess around with a little bit later." For Marcus Bentley's vocal on his album Fire & Ice, Kaskade decided not to go with his usual mic setup and instead use the Telefunken CU-29 microphone and a Brent Averill 1073 preamp. The first device in Kasakde's premastering hardware chain, "for sheen." The second device is Kaskade's premastering hardware chain, "to thicken the transients." The Dangerous Music BAX EQ is in Kaskade's premastering chain. He says "[The BAX] beefed it up, gave it that shimmery sparkle on top - the BAX is an amazing piece of gear." A photo Kaskade posted of him during a live set reveals him using the APC40 by Akai. Kaskade tweets about being a new owner of the Akai MPC Renaissance Controller. The Apogee Duet 2 USB Audio Interface can be spotted in a photo of Kaskade's live setup. Kaskade praises the improvement in the speakers on the MacBook Pro with Retina display. In the top left of his desk rack is the Retro Instruments Sta-Level compressor. Sort of dark but in the bottom right of his desk rack, you can see his Zener Limiter from Chandler Limited. On his side rack to the right, there is a Universal Audio LA-610 MkII preamp. Below the UA 610 Pre amp in the side rack off to the right is a Avalon AD2044 compressor. At around 29:07 in the video, you can see a Kush Audio Clariphonic EQ between his Zener Limiter and the Retro Instruments compressor. 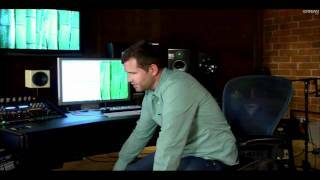 What kind of Software Plugins and VSTs does Kaskade use? Click here to let us know! "Occasionally I also turn to the McDSP ML4000 HD" says Kaskade about how he masters his own tracks. Omnisphere is the plugin most closely attributed to Kaskade's sound and is certainly one of his go-to pieces of software. Kaskade tours the majority of the year, and works on music on the go. "…he says the track 'Turn It Down' was almost completely arranged in airports, drawing on the NEXUS2 and Spectrasonics Trilian Total Bass Module." Kaskade mentions using the Epure EQ plugin when doing the mastering for his tracks himself. "I master my own stuff when I’m in a rush. I have no set rule about which plugins to use, but typically I’ll use something like this: Epure II EQ from Flux, SSL G-Master Buss Compressor by Waves and Ozone 4 from iZotope." Discussing how he masters his own tracks, Kaskade says he sometimes uses the SPL Transient Designer Plugin. Kaskade's gear is on Equipboard.